In most e-commerce businesses, the only value the Last Name field adds is that it sometimes eases the task of finding the address of the customer. In cases where the address is an office or a non-residential address, the Last Name field ensures that the product reaches the right person, especially in cases where there may be employees sharing the same first name. But what about businesses that are fully online? How often is the last name field really required? For instance, while buying movie tickets online or while registering for a paid webinar, the Last Name field offers no value. Also, some people don’t even have a Last Name. Thus, for multiple reasons, you may want to get rid of this field altogether. 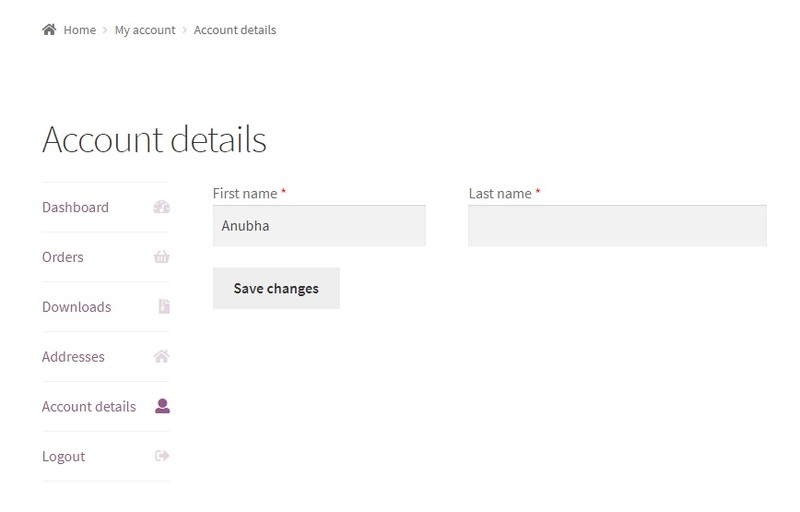 While we have seen in an earlier post how to customise fields on the Checkout Page in WooCommerce, this post will talk about how to remove the Last Name field from the My Account page in WooCommerce. While we can add some CSS code (as shown below) in order to hide this field, it will still throw a validation error when the form is submitted. Hence, we also need to make some other changes in order to remove the required clause. 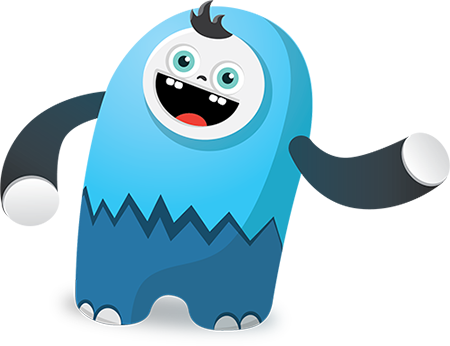 The code snippet given below, once entered in the functions.php file of your child theme, along with the additional CSS (above) should help achieve both the objectives viz. making the last name field optional and hiding it. 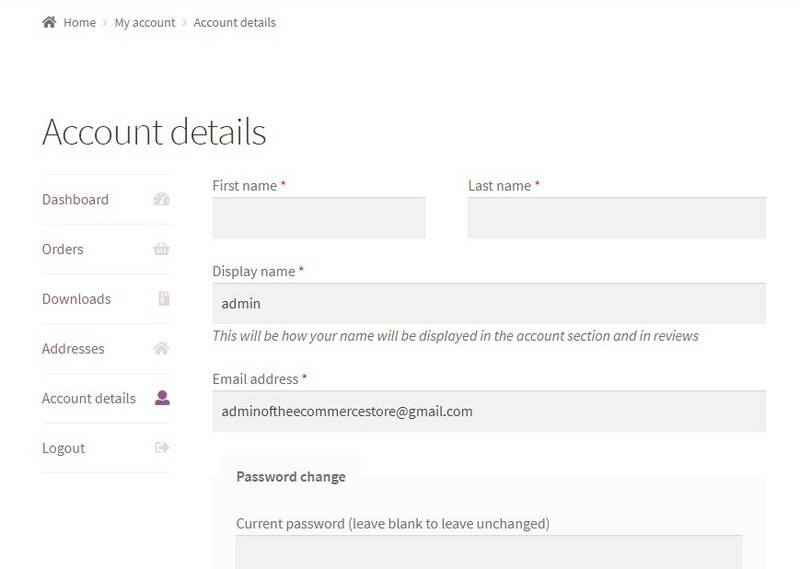 The function ts_hide_last_name is added to the in-built woocommerce_save_account_details_required_fields WooCommerce hook. 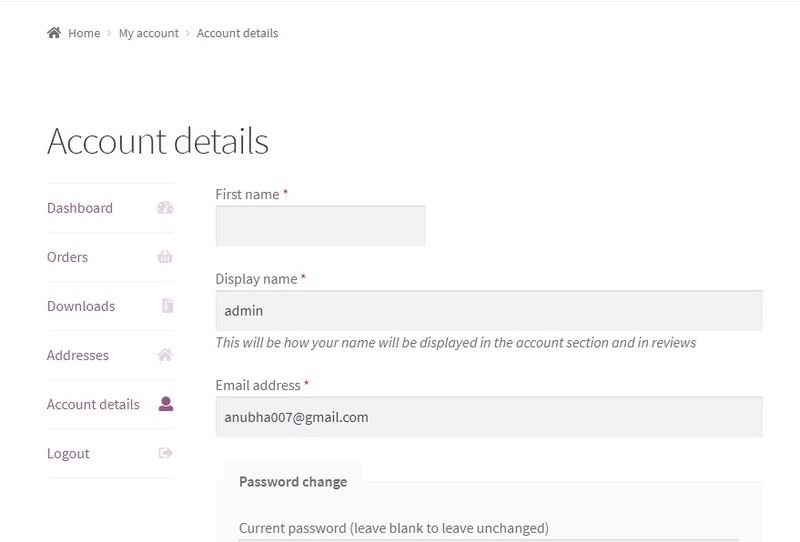 The same code snippet can be used to hide the Email field, by changing the field name to “account_email”. The Custom CSS below would also hide the Password fields along with the Email field, but this would be desirable if you intend to hide the Email field. 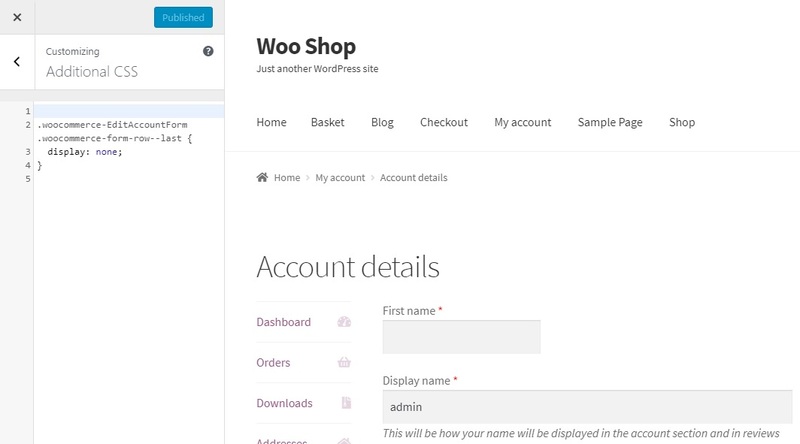 In this way, you can use the code snippet and a little custom CSS to edit any field on the My Account page. However, removing some fields may have undesirable consequences. For instance, you may want to retain the email address field as it’s also mandatory for the registration process.